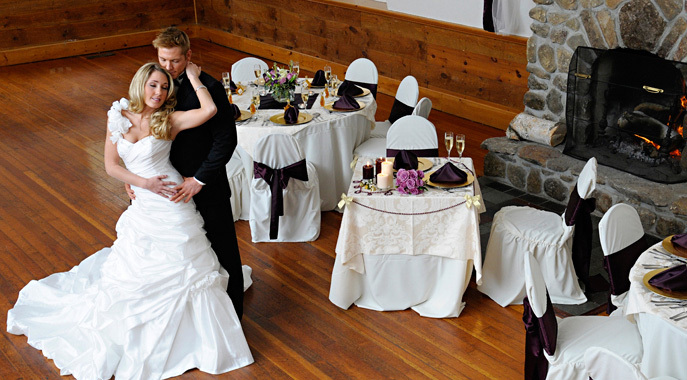 Imagine your special moment set against the backdrop of a breath-taking winter scene in the mountains of New Hampshire. Snow topped evergreens cascade down to the shores of nearby Lake Winnisquam. The Belknap Mountain range frames the panoramic landscape beyond. 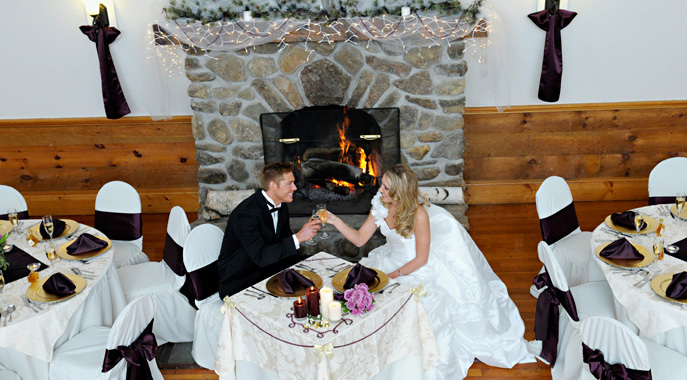 With a warming fire, excellent catering and a truly unique winter setting, Steele Hill Resorts presents the perfect venue to exchange your vows. Steele Hill’s wide range of accommodation and vast experience with winter ceremonies makes us the premier location for your wedding. 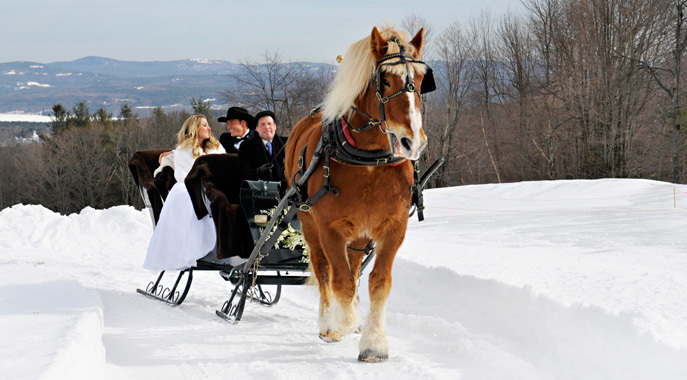 From onsite sleigh rides, to skating on our pond with your guests, Steele Hill Resorts is the place to make your winter wedding a memorable experience. Steele Hill’s range of facilities and our full onsite catering service are sure to present you with an excellent, worry-free event that will leave your guests talking for years to come.